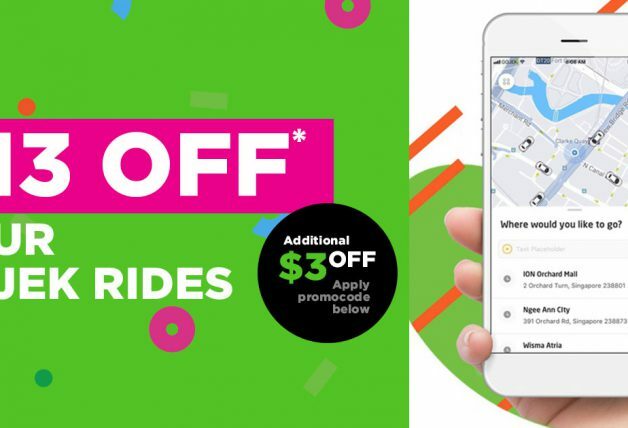 After much rumours and speculation about Grab’s acquisition of Uber Southeast Asia operations, the deal has finally gone through today. According to Uber’s latest email to customers, the company will be combining their operations with Grab in Singapore and across Southeast Asia. 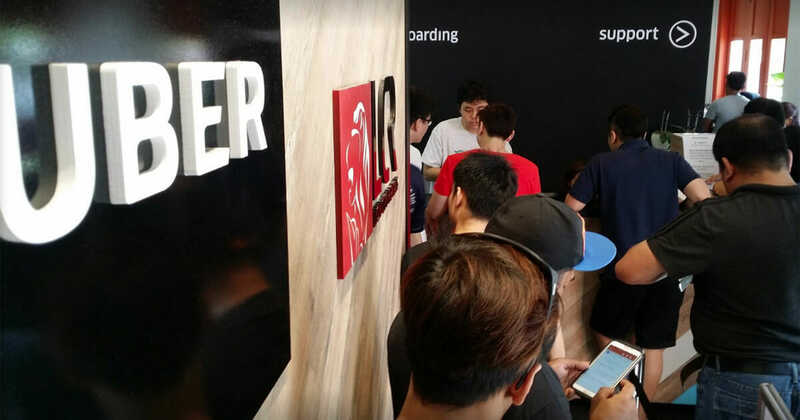 Along with the announcement, Uber says they will be discontinuing their services here in Singapore after 8 April 2018. What this means is that Uber customers will no longer be able to book rides via the mobile app after the stated date. 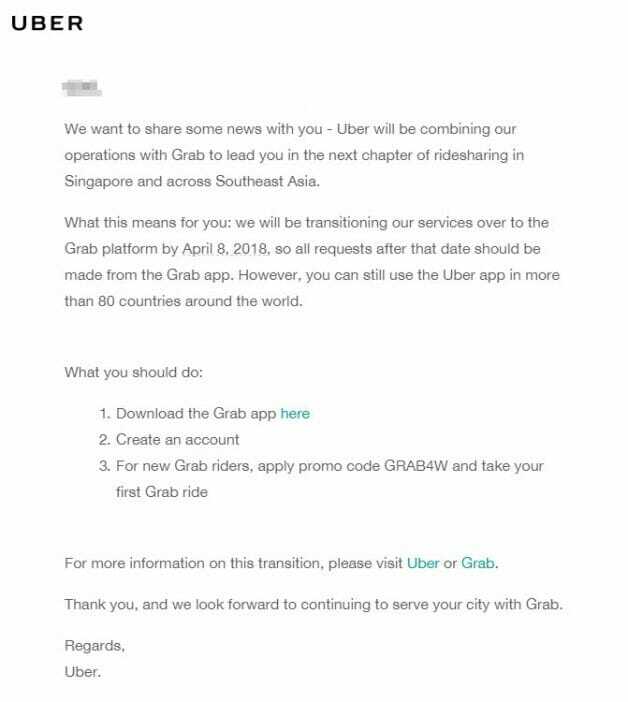 Included in the farewell email from Uber Singapore is a new promo code GRAB4W for new Grab customers, although strangely the company did not specify what the new promo code offers apart from mentioning “take your first Grab ride“. Uber continues to operate in over 80 countries around the world and users can continue to book for rides using their mobile app outside of Southeast Asia. The transition does not affect Grab users in any way, they can continue to use Grab to book rides as per usual.